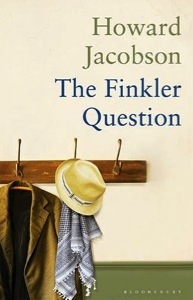 On Tuesday in London, Howard Jacobson was announced as the winner of the 2010 Man Booker Prize for Fiction for his book The Finkler Question. The award is given each year to the best full-length English novel by authored by a citizen of the Commonwealth of Nations, Ireland, or Zimbabwe, that was published in the past year. Jacobson’s win was a surprise, most expected Tom McCarthy’s C or Emma Donoghue’s Room to take the award. The award comes with a cash prize, and increase sales from all the publicity surrounding the win. Julian Treslove, a professionally unspectacular former BBC radio producer, and Sam Finkler, a popular Jewish philosopher, writer and television personality, are old school friends. Despite a prickly relationship and very different lives, they’ve never quite lost touch with each other – or with their former teacher, Libor Sevcik, a Czech always more concerned with the wider world than with exam results. And it’s that very evening, at exactly 11:30 pm, as Treslove, walking home, hesitates a moment outside the window of the oldest violin dealer in the country, that he is attacked. And after this, his whole sense of who and what he is will slowly and ineluctably change.